Do you know why the Bible commands us to PRAY WITHOUT CEASING? I believe it is because there is simply too much to pray about. Prayer is work, plain and simple, which is why most believers don't do it. 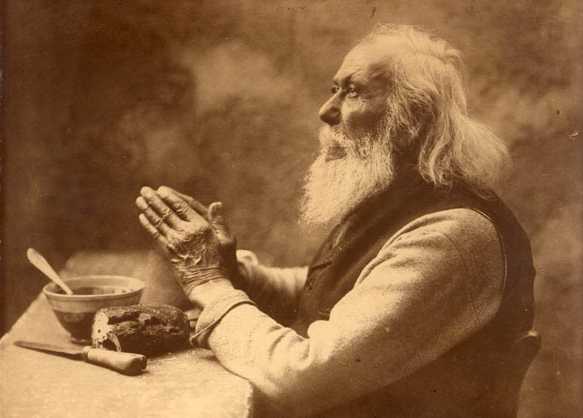 Prayerlessness is akin to the sin of atheism, because atheists don't pray either. Philippians 4:6-7 teach for Christians to pray about everything, placing all matters into God's hands; that we may have the peace of God, which passeth ALL UNDERSTANDING. Dr. John R. Rice further teaches believers HOW to pray without ceasing. This is such an important subject to preach on, for prayer is what unties God's hands to bless us and do mighty works through our labors. James 4:6 warns that God giveth grace (help, Hebrews 4:16) to the HUMBLE, but God resisteth the PROUD. If you don't pray and abide in the Scriptures, then you are saying that you can do it alone and don't need God's help. It is sinful pride and God avoids the proud. If we don't pray and don't live in the Scriptures, then God's hands are tied because we will be filled with arrogance and false humility if God blesses us in spite of our lack of prayer. I believe this is why God is pleased by our persistence in prayer. when the saints pray, and God DOESN'T do anything, he is still pleased that you are continually to pray, and eventually God will answer if you don't quit. Most believers pray and then quit because God doesn't answer right away. They don't understand the nature of God and prayer. It is standard for God not to answer right away, because the Bible plainly says He is pleased by our persistence. If we don't faint and quit, then Jesus said the Father would avenge us and answer our prayer. The Greek word for the phrase “he bear long” is makrothumeo and means “to be long spirited, that is, (objectively) forbearing or (subjectively) patient.” My friend, do you know what it means to FORBEAR? It means not to do something. It means when God doesn't do anything in response to your prayer. The Bible is saying that when the saints pray, and God DOESN'T do anything, he is pleased that you are continually to pray, and eventually God will answer if you don't quit. Please don't miss this truth. The Bible is teaching that God is please NOT to answer our prayers without a struggle. The widow was being ignored by the unjust judge. The judge heard the woman, but he didn't care (he was unjust, that is, unfair). He was a crooked judge, literally. This evil judge no doubt took bribes and gifts to pervert justice. Yet the Bible says this wicked judge gave the widow what she wanted just to make her go away. Likewise, but in contrast as well, the Bible says that God is pleased when His children have to struggle in prayer, continually making requests that He does not answer right away, making them persevere in prayer to receive what they ask. Why does God do this to us? Why would God make us beg and beg. Luke 18:8 gives us the answer... The Lord says, “I tell you that he will avenge them speedily. Nevertheless when the Son of man cometh, shall he find faith on the earth?” Ah, it is a matter of faith. Hebrews 11:6 says that it is IMPOSSIBLE to please God without faith. Enoch in Hebrews 11:5 had this testimony... THAT HE PLEASED GOD! Enoch pleased God because he had FAITH!!! Prayer is asking, and asking is faith. James 4:2, “yet ye have not, because ye ask not.” Therefore, continually asking is greater faith, and faith pleases God. I wonder how many people have prayed 9-times for something, but then quit, and on the 10th prayer God would have answered. The Bible plainly teaches in Luke 18:1-8 that God doesn't answer our prayers right away because it pleases Him for us to have to ask repeatedly and continually. God wants our fellowship. Verse 8 challenges believers, asking if the Lord will find faith when He returns (and this verse is spoken in relation to PRAYER). Will Christians be persevering in prayer for OTHERS when the Lord returns? Will believers be burdened about lost souls? Have we given our sweat to God? Have we labored in prayer? It is easier to get a large amount of work done if you break it up into smaller amounts. I believe this is perhaps one reason why God tells us to pray without ceasing. Prayer is the most important thing we do in our daily life. Jesus told the disciples to pray that they enter not into temptation. Matthew 26:41, “Watch and pray, that ye enter not into temptation: the spirit indeed is willing, but the flesh is weak.” Pray, pray, pray my friend. Pastor Jack Hyles teaches about laboring for the Lord in this timeless MP3 sermon, In All Thy Ways Acknowledge Him, And He Shall Direct Thy Paths. We will be rewarded according to our labors. Our part in Proverbs 3:6 is to “IN ALL THY WAYS ACKNOWLEDGE HIM”; but God's part is “AND HE SHALL DIRECT THY PATHS.” If we do our part, then God has promised to do His part. For example: A young woman ought not prepare to be a successful wife; but rather to work hard at being a wife. A young woman ought to work hard in preparation to be a wife, as someone would diligently prepare to be a doctor. You quit trying to decide how it's going to turn out, and you just roll your sleeves up and do your best. You be the best wife or husband you can be and trust God with the outcome. God is the Masterbuilder. Friendship is a gift from God. Our part is to work hard at being a friend, and trust God to do the rest. Our part is to labor in prayer continually, and trust God to do the rest. Likewise, a young man in Bible college ought not prepare and fantasize about having a successful ministry; but rather, work hard to please God by getting the job done! You focus and work hard to be all that you ought to be; but don't decide the outcome or try to direct your own ways. That's God's department. May we all serve God and let God control the outcome. The Bible says in Hebrews 11:38 that it was God's will for some believers to be fed to lions, executed and imprisoned. It may be God's will for you to lose your legs. It may be God's will for you to spend the rest of your life in a wheelchair. It was God's will for the man in John 9:1-5 to be born blind. Our part is to acknowledge God in all our ways, laboring to please the Lord. But God's part is to direct our paths in life. God may take us in directions that we did not want to go. God led Joseph into imprisonment as a slave in Egypt; but God was directing Joseph's steps. Trust the Lord. Let God take care of the marriage. Let God take care of the friendship. Let God build the church. God determines the outcome. Our part is to labor. Your part is to labor hard to reach people for Christ. You'll be miserable if you have plans and dreams. Let God take care of that. Your part is to get to work! Spend the time you spend at the lawyer's office, instead reading good books on how to be a good wife. Let God direct, you work hard and follow. Burn all those how to be successful books! If you live in the Bible, pray continually and trust the Lord, then you will be as successful as you can be in the Lord. Here is an excellent quote from the mighty preacher and man of God, Brother Lester Roloff, concerning unanswered prayers . . . The thing that will reveal your faith is praying when no answer comes. That's the supreme test. I've gone over a number of chapters in the book of Job again. In one of them, Job said, "Oh that I knew where I might find Him." He was looking for God. Can you imagine? He was the best man God had and he couldn't find Him. He said "Lord, I want you to show me why you're doing this to me. We've always been on good terms and you've been my best friend. I'm not against you and am not going to turn against you, but I need an explanation and I want you to give it." But the Lord didn't pay him any attention. I imagine the Lord just kind of smiled and said, "Later on. After a while." So finally Job said "I went forward and He wasn't there. Backward. I couldn't perceive Him. On the left hand where He doth work. I couldn't behold Him. On the right hand where He hid himself and I couldn't see him." That's all the directions isn't it? Forward, backward, left, right. He said "I couldn't get one glimpse of Him." Then he said, "But He knoweth the way that I take and when He hath tried me, He will bring me forth as gold. My feet have held His steps. His way have I kept and not declined. Neither have I gone back from the commandment of His lips. I've esteemed His words more than my necessary food." That's the secret of it right there. It was the most severe test he ever had. It wasn't when all of his ten children died. It wasn't when he lost all of his camels, oxen and sheep and goats and chickens. It wasn't when he lost all of his servants. The greatest loss was not when Mrs. Job came and said, "Just curse God and die." That wasn't his most severe test. That was just part of it. Then three fair-weather friends came and looked at him and they didn't speak for seven days. Not one word. Finally they opened their mouths and skinned him and scalded him and scathed him and ate him up alive. But that wasn't his greatest test. Do you know what the greatest test was? You've never been there until you've reached this place, and that is when you look up to God and there's not any God. You just pray like you used to pray and there's no answer. There's no response. There's no God. There's no feeling and your faith is severely tested. But let me tell you something. You're going to have to learn to believe God when you cannot perceive God. You're going to have to learn to "faith" Him when you can't feel Him. Unless you do, you're going to be in bad shape before this thing's over with. There'll come a time when God reserves the right to cut you completely loose from Him and then see what your faith will lead you to do. "In all this, Job sinned not nor charged God foolishly."